Any Korean cuisine lovers here? 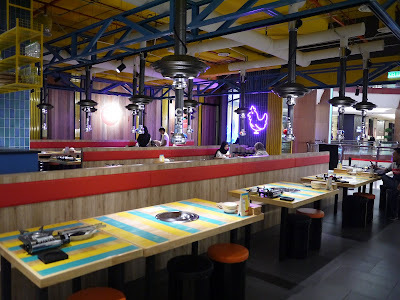 I am sure a lot of us Malaysian love Korean cuisine for it's spicy and sweet, plus some kick! In fact, I have many Malay friends who are into everything Korea including Korean food. Korean food is so popular that it is easily available in Klang Valley but not many of them are Halal. 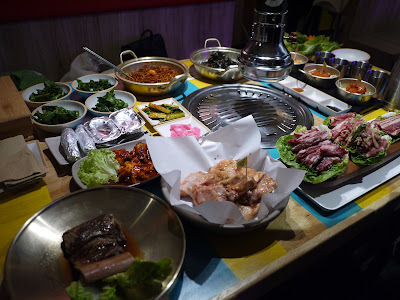 I have recently discovered the Halal Korean BBQ at SeoulNami. 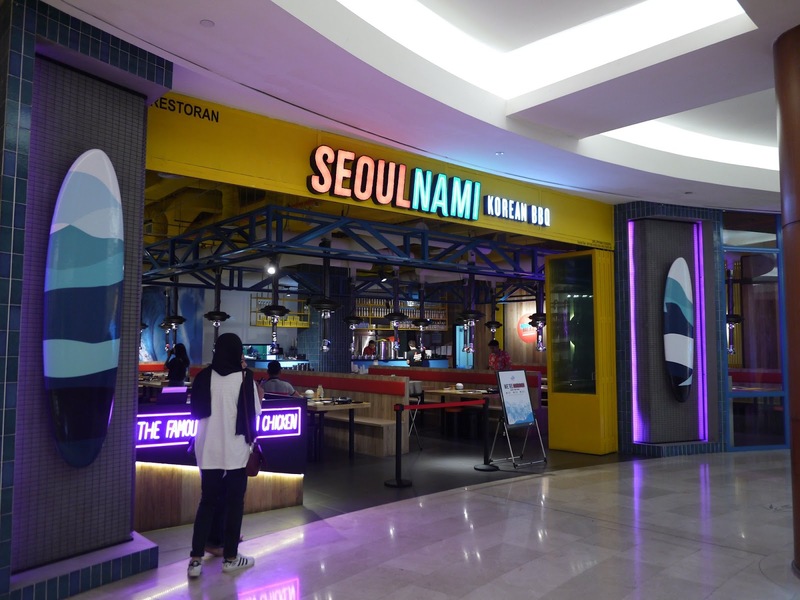 Located at the level 2 of The Gardens Mall, SeoulNami is strongly recommended as it is a Halal Korean style BBQ restaurant. I like the great atmosphere in the restaurant. Diners could enjoy Chicken BBQ, Beef BBQ, Seafood BBQ, Charcoal Burnt Cheese Cake, Crabby Kimchi Jjigae, Goguma On Fire, Signature Kimchi Trio, Fire Ramyeon, Odeng Seafood and many more Korean food here at SeoulNami. 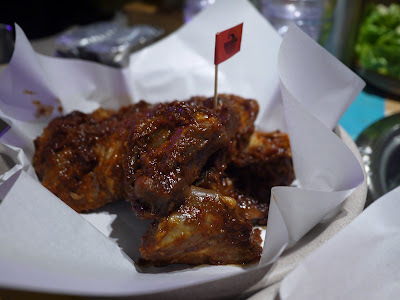 Choose from the spicy hot pepper chicken, savoury ganjang chicken, sweet honey butter chicken or salty ganjang chicken. The chicken is marinated for a long hours and barbeque to perfection. I like the juicy and slavour boneless chicken a lot. I would recommend to wrap the chicken meat in the fresh lettuce and add in the preferred dipping sauce. Simply delicious! 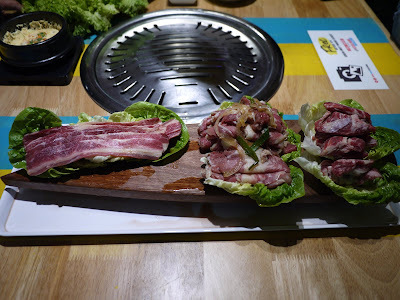 The Signature Beef Platter BBQ Set comes with Bulgogi, Beef rib fingers and beef belly. Beef lovers would surely love the thinly-sliced marinated beef in this set. 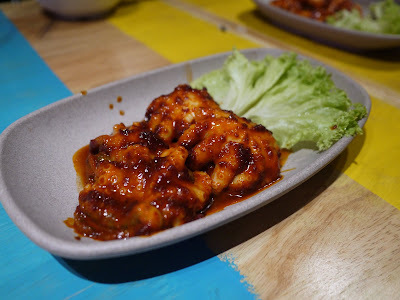 Seafood lover would not missed this, the baby octopus are marinated in a spicy gochujang sauce and seared quickly on the bbq. Tender, enjoyably chewy, not to mention a burst of flavor with every bite! Kimchi is a staple and a popular Korean BBQ side dish. Made from cabbage, it can be made spicy or mild. 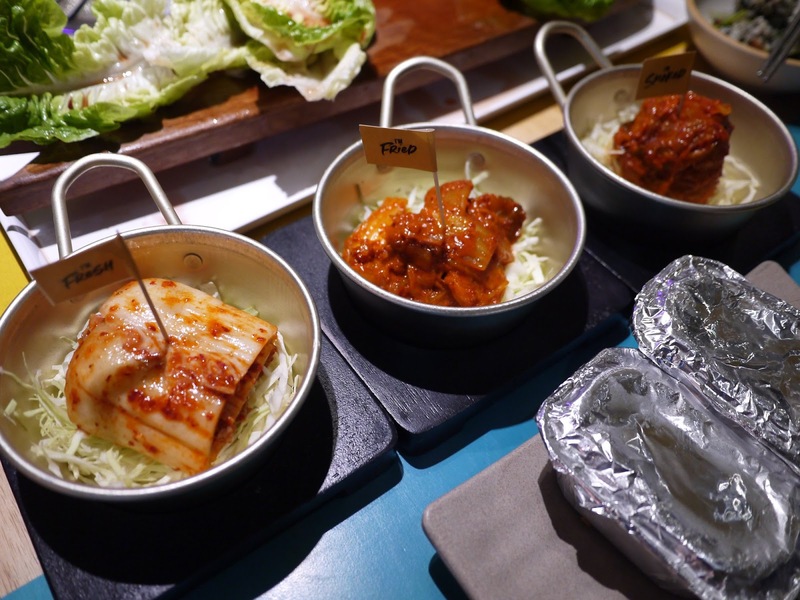 In this Signature Kimchi Trio, diners can taste 3 different kimchi from Fresh on grill, fried and smoked kimchi. Enjoy buy 3 meat free 1 side at SeoulNami. There are 9 different side dishes for you to choose from, and we love Goguma on fire (RM 12 for 2 pcs) and charcoal burnt cheesecake (RM 12 for 2 pcs) a lot. Perfect way to end our meal with sweet treat like these. I like that the staff at SeoulNami will do all the cooking right in front of you and you don’t even need to lift a finger, nice right? Worried it is too boring? 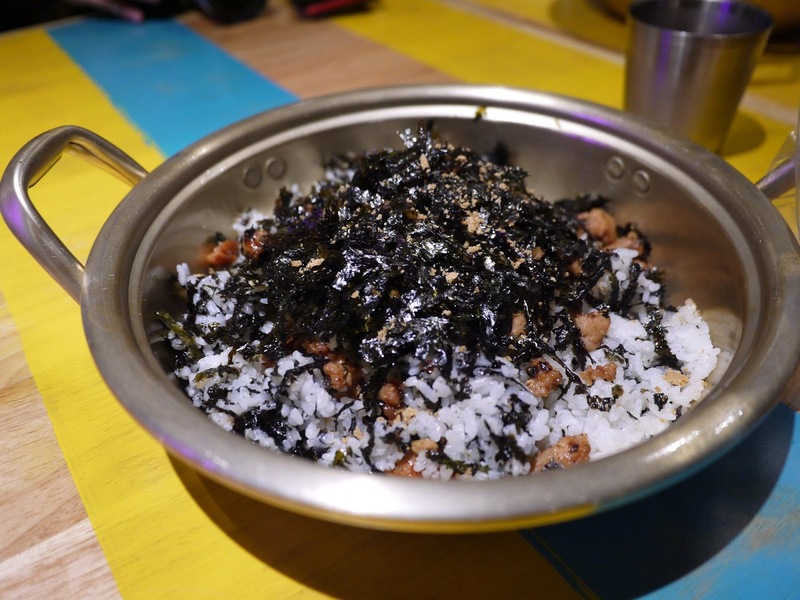 Why not order DIY Fist Rice (RM 29) for some fun time with your friends and family. 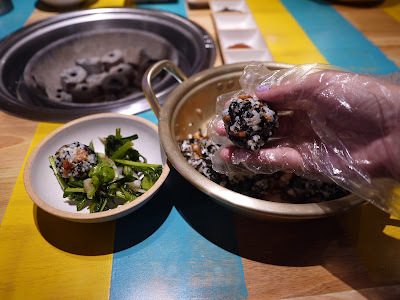 DIY Fist Rice is warm soft rice in seaweed flakes and fragrant chicken served in a big bowl, diners can hand-mix and shape the rice into mini rice balls. So much fun and so delicious! 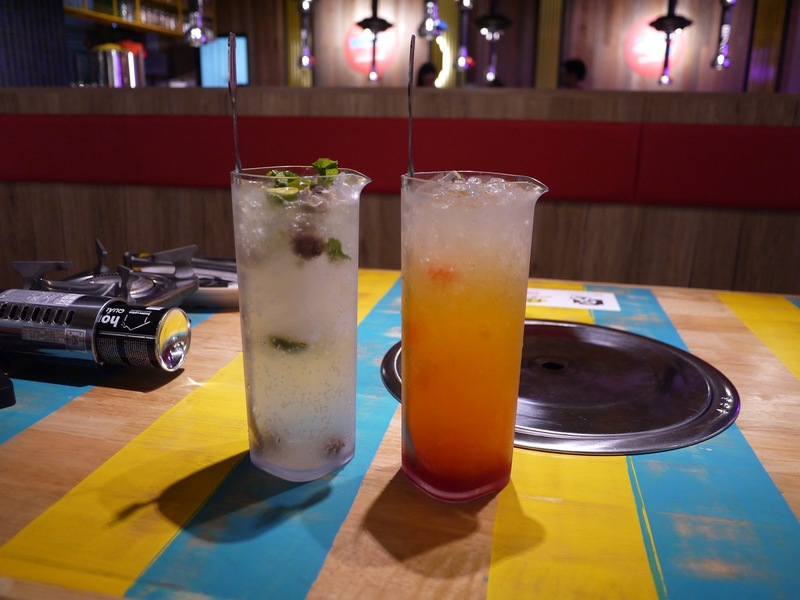 Quench your thrist with Sparkling orange cream soda (RM 19) or fizzy sour plum cooler (RM 19). I personally prefer fizzy sour plum cooler for it's sweet and sour taste. Bring your family and friends to SeoulNami for a decent Korean BBQ meal. You would surely love the quality and tasty food over here.